Almost from the moment we are born we are taught judgement – I am sure some of you have heard mothers say to their children: “You can’t play with that child, he is not from the same estate as us” or “We can’t go to that church because they hold different religious services to our church” that sort of thing….judgement is programmed into us from a very early age! As we move into the energy of the New Golden Age it is so important, in fact it is vital, to be able to let go of judgement. Not always an easy thing to do especially when we are dealing with the human ego, eh? What you judge you attract, it is that simple! If you can learn to look at everything with an open heart and learn to love it all you will experience more joy and joy is one of the keys to Ascension. Source has created the perfect universe but has also allowed humanity to have free will. In essence everything is happening as it should be when it should be but that is not always an easy concept to understand when you see what is going on in parts of the world. It is important to understand that every bad thing that happens is an opportunity for people to learn and the most painful experiences are the ones that teach us the most. Of course we may not be able to see that when we are in the middle of that energy but take a moment to look back at painful times in your life and you will always find something that you have learnt from it and that is why we are here – to learn and to grow and to ultimately ascend! A useful technique I have learnt from Melissie Jolley, the founder of Colour Mirrors, is called going into your I AM ness and I use it a lot!! It is very simple yet so effective, try it and email me to let me know how you get on! So this is what I do when the going gets tough. 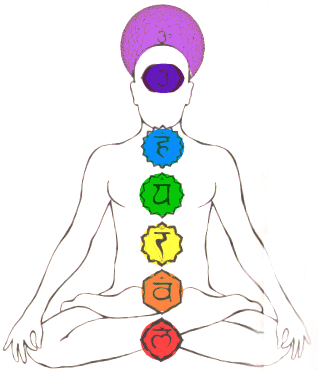 I take a deep breath in, bring golden energy up from the earth and anchor it into my base/sacral/solar plexus chakras, I also bring down white energy from Source and feel that in the same chakras whilst affirming “I AM” – I then bring both the gold and white energy up to my heart whilst affirming “WE ARE THE I AM” – the last stage is bringing both the gold and white energy up through the throat/3rd eye to the crown whilst affirming “WE ARE THE ELOHIM”. This simple technique brings me straight into alignment with who I really am – a powerful energy being in a human body (just like you!!). If, for some reason, you don’t have time to visualise the energy moving, just saying the words out loud will raise your energy vibration and consequently shift the energy around how you see and deal with all situations.Work on letting go of judgements and see how your life changes into one of pure joy! !